Here is the full history of the Development team season and the table ranking at the time. As usual another FA WSL stupid scheduling and the team is in a long chase to climb up the table. You do wonder, if there wil be enough time to complete the full fixtures list. Expect loads of midweek games towards the end of the season. * there is no information on the FA Website, but my guess is as there were five players at the U17 World Cup, the club was not able to field a full team. How often do you see an Arsenal Ladies team struggling in second place from bottom and 17 points behind the leaders. This is the current predicament for the Development team and with no fault of their own. 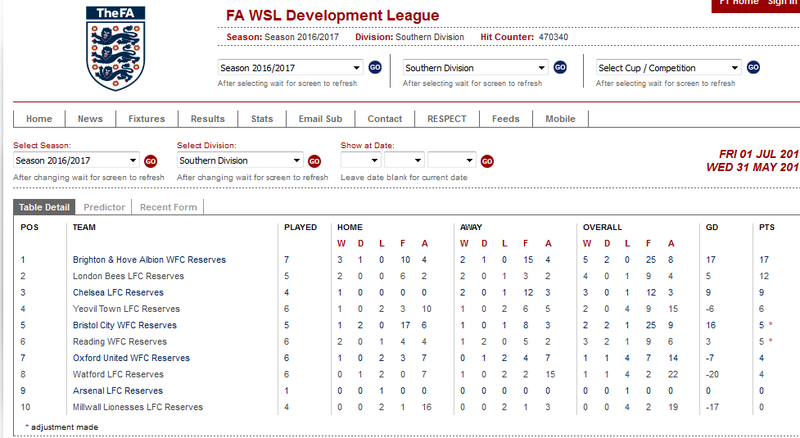 We know the FA is an expert at messing up the FA WSL fixtures list and have been doing so since it started in 2011, but this year’s FA WSL Development League Southern Division schedule take the biscuit. If we look at the table, the Arsenal Ladies look like a team struggling and out of the title race after doing League and Cup double in the previous season. I mean trailing the League leaders by 17 points is huge and a current 100% defeat record is really bad. But then, you start looking at the goal difference which is 0, while the teams just above and below Arsenal are on -17 and -20 respectively and you think, there is something fishy here. So the Arsenal Ladies Reserves have lost one league game so far, not scored or conceded any goal. They are trailing the League leaders Brigton by a gigantic 17 points and runner-ups London Bees who beat them earlier this season by 12 points. They do have 6 games in hand on the League leaders and 4 games on hand on the runner-ups. It is still a huge mountain to climb to get back level with these teams and the Reserves more or less need to win every game to get back in the title race. That calendar is tight with the international dates and the FA WSL Development League Cup as well. You do wonder how the FA organised it to be so messy. One of the answer is the FIFA U17 WWC played in Jordan where 5 Arsenal Ladies were called up and it led to postponement and that A-W defeat at home to Bees. With a small squad as well, I could bet not all the games will be played this seasons as enough players won’t be available for certain games. let’s hope the girls can kickstart their leagues games with a win and go far in the Cup. I have been watching women’s football for nearly 15 years now and I see a lot of value in watching teams training sessions. Today I was lucky enough to watch an Arsenal Ladies training session at London Colney and it was really an eye opener on some of the players. You can see things in training that explains why some players are picked while others are on the bench. I was pleased to see Rachel Yankey and Jodie Taylor in action, Taylor even managed to score a goal while Yankey was at left-back for the whole session. I will write more on today’s session once the season is over. So through these years, I was lucky enough to be invited to many training sessions from French teams. For example, I saw the PSG women training sessions prior to the Glasgow Champions League away game and how they were setting up for the game the next day. I was also invited to watch training at Montpellier HSC when Jennifer Beattie arrived over there a few seasons ago. I saw many training sessions from France WNT under Bruno Bini and a couple when Phillipe Bergeroo was the manager. I also witnessed a few sessions from France B teams and from the U19 side as well. I think, it was really interesting to see the Arsenal Ladies in training today as it confirmed what I have been seeing in term of performances from some players throughout the season. 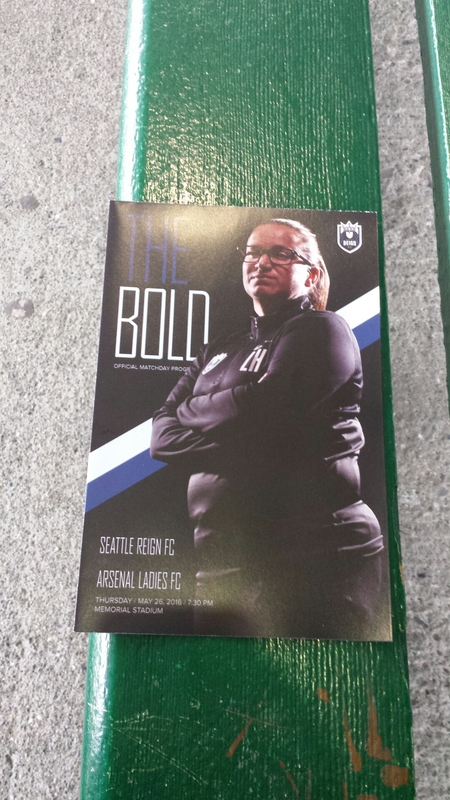 I have not blogged about an Arsenal Ladies away trip for a while, so I thought I would put a few words on the Seattle away trip. In the last few years I have not done many away Arsenal Ladies games. Mostly because the timing is inconvenient or the ground is difficult of access by public transport as I don’t drive. Notts County or recently Doncaster Belles come straight to mind. So when it was announced that Arsenal Ladies would play a friendly against the Seattle Reign I tought it was a great occasion to do some sightseeing and watch the girls in another country to add to my list. 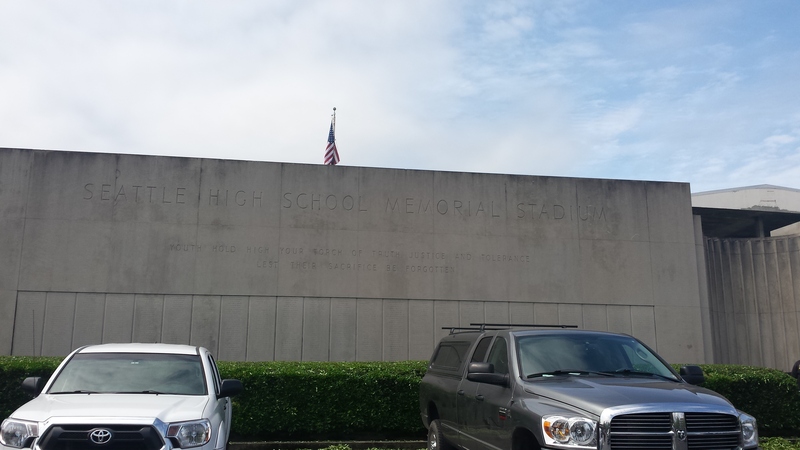 Obviously, I had to spend a couple of days there to make it worthwhile, so I set up on Wednesday from London and flew back on Friday from Seattle because I wanted to be back on Saturday for the Development cup final played near Birmingham. So I flew from London on the 25th of May and being a lucky traveller, I spent a lot of time at the airport. First my boarding pass did not go through the automatic gates. I went through the manual ones operated by staff and he sent me back downstairs to the ticketing office to have another one issued as my print at home one was not valid. Considering I had already spent more than half an hour queueing at pre-check to have my passport pre-controlled before going to security it was a good start of the day. When you consider that I actually did not have any check-in luggage which would have added at least another hour queueing, you understand why it is better to come three hours before flight departure on the way to the USA. So I went through the normal security, when I had to do the full body scanner, which was fine and then at the gate they had another security layer, where the guy just checked everything in my backpack and my hand luggage. That was about 15 minutes extra checking every item in my possession. Then I got on the plane, upgraded to premium economy with more leg space and I was close to the toilets which is always a bonus. It means you don’t have to walk all along the plane and queue for a long time. The trip was uneventful, even if long as I managed to watch four movies. It felt longer than the trips I did to Japan to watch the girls over there. Arriving in Seattle it was the usual long queue for the foreign tourist as US immigrations are very tough on visitors and the questioning can be very long. Luckily enough, they had a queue opened for resident as usual as for those who had already entered the country with their ESTA, something I had done as I came in 2014 for the USA v France game and the NWSL draft in Baltimore earlier in the year. So that did not take too long and I was out to find my hotel using one of those courtesy bus that are hidden somewhere in the airport. After a long wait, the courtesy bus arrived and it took us three minutes to get to the hotel. 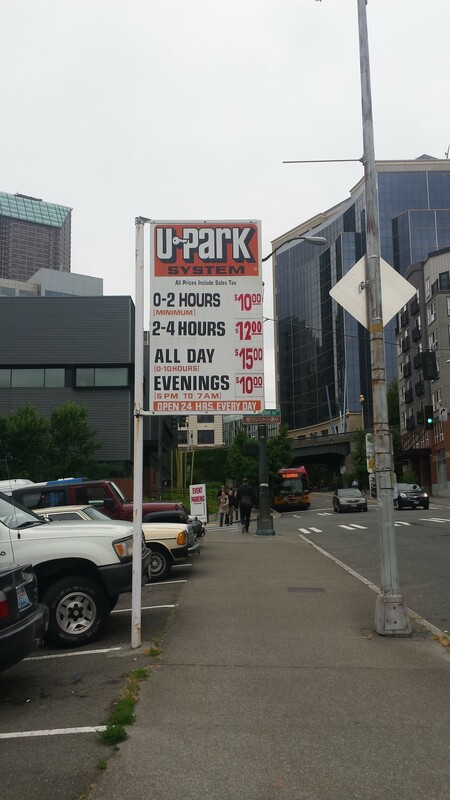 I could have walked actually to it and it would have been quicker. 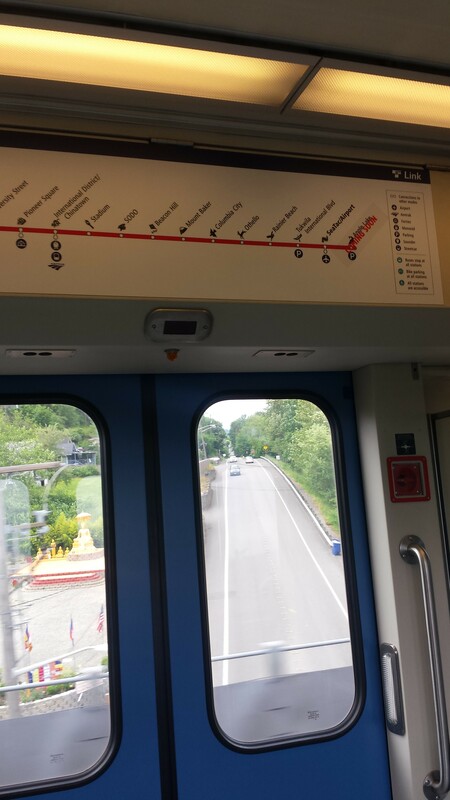 Interestingly enough the hotel was close to the public transport, the link light rail that goes straight to downtown Seattle so after checking-in and showering I went straight into town as the jet lag effect was not strong enough to send me to bed. Off I went to meet a Canadian journo @harjournalist I was meeting that day to give her a Panini Euro 2016 album and a few stickers. While I was waiting for her popped up Danielle Carter, Marta Corredera and Dominique Janssen. Dan recognised me as she has been with the club for many years and had a quick chat. I am not sure if the other players knew who I was and probably thought I was a local fan with an Arsenal shirt. As I don’t do program signing and post game selfies, they cannot recognise the fans like me. They must know the Car Park Crew from Borehamwood though. So I met Harjeet did some sightseeing and then went back to my hotel as it was about 3am UK time and needed a good sleep. The next day was game day. Another day of sightseeing before the main event at 7pm. I went round the town and then back to the hotel in the afternoon to have a nap again as my body clock was messed up as expected. I saw the space needle and many other things. 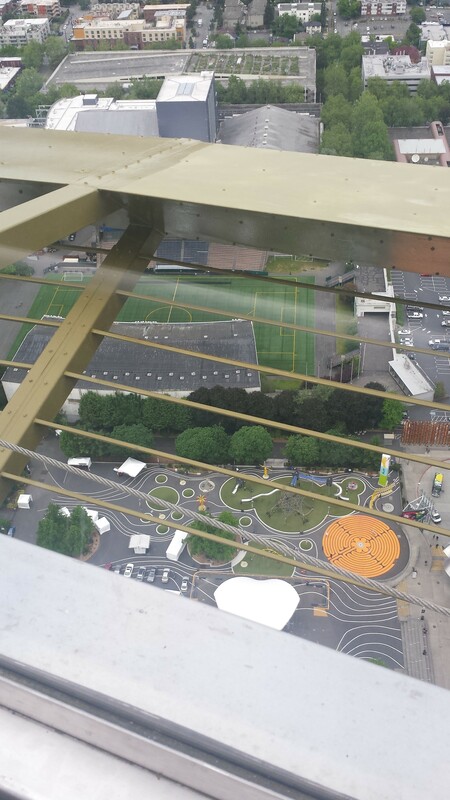 Below is the Memorial Stadium view from the Space Needle and the entrance. Then it was game time. The memorial Stadium is quite big with two main stands with the cheapest seats starting at $18, so a bit more expensive that the prices in the England or France. There is some restricted view on those seats as well but the tactical view is superb. I met two nice people at the game a Thorns fan Nicole @endibs_rn and another friendly journo @jacobcristobal. It always nice to meet IRL the people that you come across on twitter. For the Arsenal fans, it will be remembered as the first Arsenal game for Jodie Taylor and the ankle injury that put Leah Williamson out for the a few months and maybe until the end of the season. At the end of the game, the Arsenal players went to speak to the Cascadia Gooners and there were many Arsenal fans in attendance and they went to the fan zone behind one of the goal that was extremey busy. 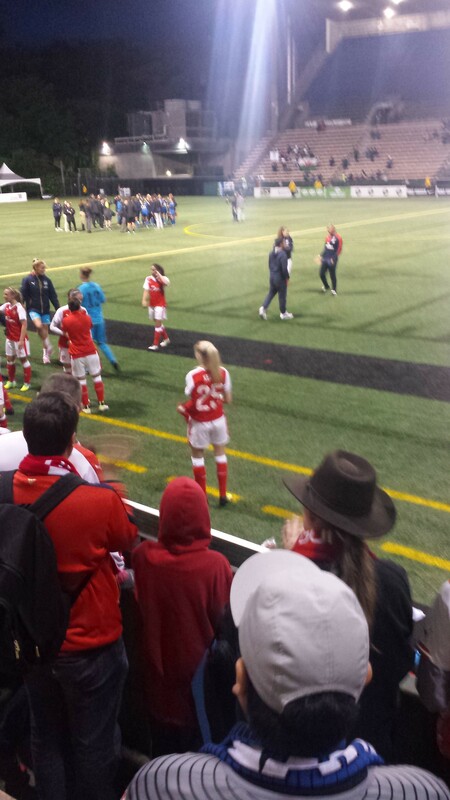 It was nice to be able to see the Arsenal Ladies in the USA and on Friday I was on my way back to London. I went to the early flights and to my surprise the check-in opens four hours before the flight time because the baggage drop is slow and the TSA queueing is really bad and travellers seem to miss flights because of it. I went in the queue at H-4, got to the desk at H -3.30 to be told the flight was full and my ticket was not valid. For those who understand the jargon my PNR was not linked to the ticket number and the girl at check-in could not be bothered doing it and had no time doing anyway. They were actually looking for voluntary passengers to get on the next flight, the famous DBC passengers. So I missed the morning flight and my chance to make it on time to London and go the Development team Cup final which annoyed me greatly. For the record the Dev Team beat Sheffield 2-1 aet to complete a cup treble with the 1st team and the u17 team. After a few hours being bored at the airport, I went to the check-in desk and the supervisor linked my ticket to the PNR and confirmed I would get on the next plane as there were 20 seats available. So I got wandering in the airport waiting for my plane and bumped into a few players who were all going to eat and a funny scene with Jordan pushing Leah around who was in a wheelchair. Then I went to collect my seat ticket and the whole team was also waiting to board at the gate. They did a few pictures with some Reign fans who were really appreciative and we all went on the plane. Most of the players were seating a few rows behind me actually but I did not bother to speak to them. In the end, I managed to get Jemma Rose to sing my shirt on the shuttle train at Heathrow Terminal 5. I remember well when Jem was a promising player back in 2009/10 with Birmingham City Ladies. She is a good centre back and need to be back to her best while Josephine Henning is unavailable due to the Olympics in August. 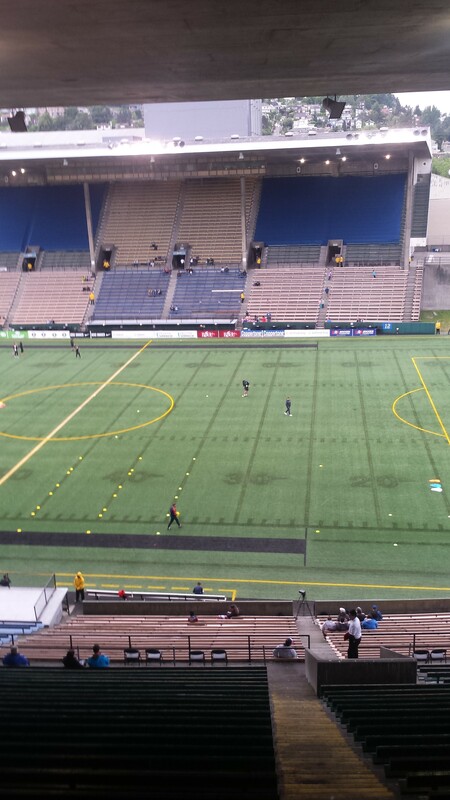 Overall a nice trip to Seattle and it was a competitive game to watch. Jodie Taylor not cleared to play for Arsenal yet ? There was a surprising information given by Tony Leighton about Jodie Taylor being not eligible for the FA Women’s Cup final. As of today the England forward has not played a game for the Arsenal Ladies. For those who wonder what is an international clearance also known as the ITC ( International transfer certificate), let’s have a look at the FIFA regulations on the status and transfer of the player , October 2015 version which is the latest one. period of the new association. The last sentence would explain why Jodie Taylor has not played a game yet for Arsenal Ladies. Then if we have a look at the FA WSL 2016 Rules, there are some bizarre provisions on players playing without an ITC ie something that should not happen as per FIFA as seen in bold above. “Any Club found to have played an ineligible Player in a Competition Match or Competition Matches shall, save in exceptional circumstances, have any points gained from that Competition Match or Competition Matches deducted from its record, up to a maximum of 12 points, and have levied upon it a fine. The Management Committee may also order that such Competition Match or Competition Matches be replayed on such terms as are decided by the Management Committee which may also levy penalty points against the Club in default. According to this rule Arsenal could play Jodie Taylor and get away without a penalty depending on a vote from the management committee, this cannot be serious ?? I find it baffling that a team can actually register with the FA a player without an ITC and could also play that player in games and potentially get away without being penalised as it only depends on a vote from the Management Committee.